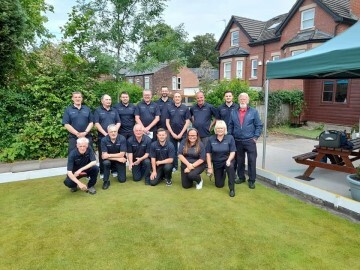 The Federation of Crown Green Bowls. Advertise here from only £50 per year. Email David Kay for details. Quality British and European holidays, short breaks and day excursions. Telephone our office for latest brochure. 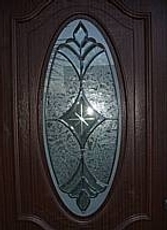 Skitham Lane, Nr Garstang, Lancashire, PR3 6BD. For a speedy return to normal life!. From just £8,000 for pre owned caravans - Ideally situated just 10 minutes from Lytham St Annes and Blackpool. British Recycled Plastic Edging & Benching for Bowling Clubs. A user friendly on-line system to enter and process bowling results using PC, laptop, smartphone or tablet including on-line fixture generation for all complex green sharing situations. It may be linked from or embedded in an existing website, or a free basic website is included. 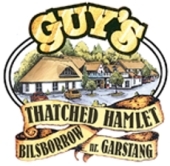 Used by leagues in Shropshire, Cheshire, North Wales, Mersyside, the West Midlands and Cumbria. Through Esselle Sports Management enjoy yourself at one of our five fabulous year round Bowling Holidays - all with that special mix of great accommodation, dining and entertainment, and of course that competitive but friendly bowling atmosphere. Bookings now being taken for April to September. The Lyndene hotel is one of Blackpool's most poular and busiest hotels. We are open all year round and situated in a superb promenade location. 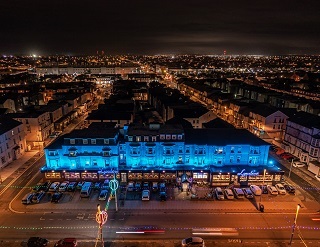 Over 141 en suite bedrooms, 3 lifts, 3 licenced bars, and 2 air conditioned cabaret lounges with entertainment every night of the year. 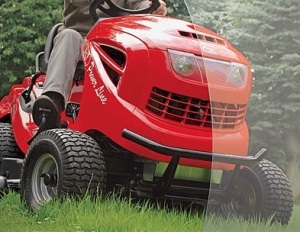 Sales, spares, service and repairs. Service providers to bowling clubs, cricket clubs, sports facilities and professional contractors. We in The Federation are fully committed to the safeguarding and welfare of our youth, juniors and vulnerable adults. This policy is in accordance within the guidelines laid down by CPSU and NSPCC. In light of the serious information that continues to come to the fore regarding allegations of abuse in other sports, we would advise anyone who has any concerns, historical or current, to contact their County Safeguarding Officer. The National Safeguarding Officer is Paul Ashmore, 46 Silverbrook Road, Liverpool, L27 1XJ. Email:paulashmore2011@hotmail.co.uk Mobile:07702347360. Alternatively on behalf of the Federation you can contact me in strict confidence and any information will be passed to the relevant authorities. Tel 07860358283 or email dkay189@gmail.com or visit www.safeguardingbowls.org. Click here to view all press releases. Was conducted by email on 31st October. All details are under minutes and statements. 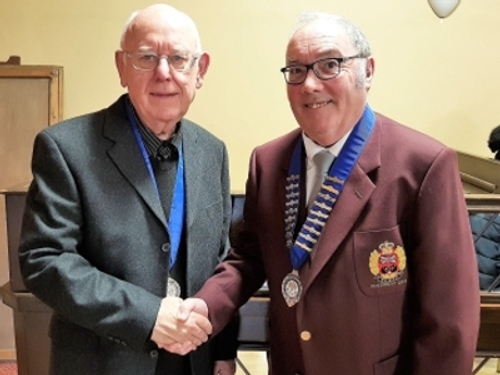 Peter Hodgkinson will act as President in 2019. A fitting figure head to our organisation, Peter is now Honorary Life President in recognition of his services over the past 18 years. This event has been rearranged for May 12th 2019 at Elland Cricket Club Halifax BC and Kingston BC Halifax. 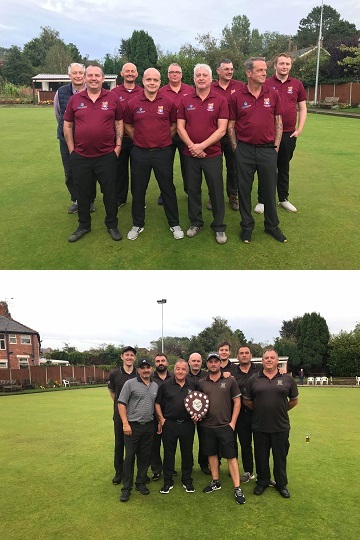 This year the National League was won by Colne Valley who pulled off a remarkable win in their last game against Halifax to overcome long time favourites Leeds A.
Div 2 was won quite easily by a strong Middleton team with Airedale A as runners up. 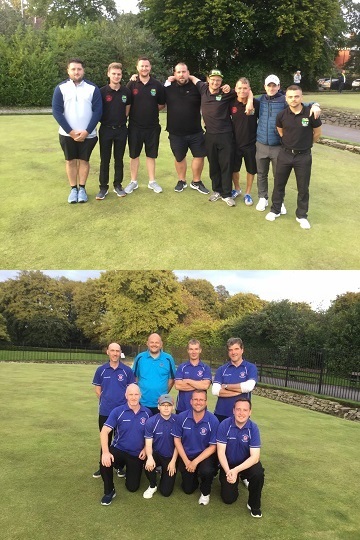 Div 3 Dudley were Champions with Fylde A runners up who finished on same points but had less winners in the season. Div 4 Liverpool/ St Helens continue their progress up the League followed by a strengthened Sth Lancs team. 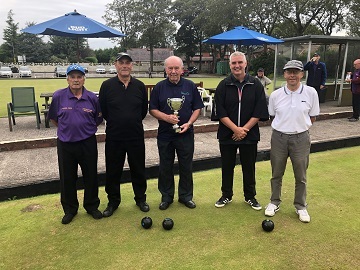 Div 5 was won by Furness who took advantage of their home greens. 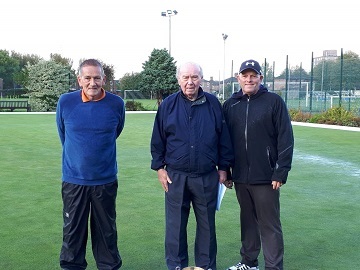 Div 6 A and B saw the promotion of Menai and newcomers Heywood. League Merit prize went to Jack Marrow from Stu Lancs. Full results are on Mb results/federation click link. Click here to visit Results page. 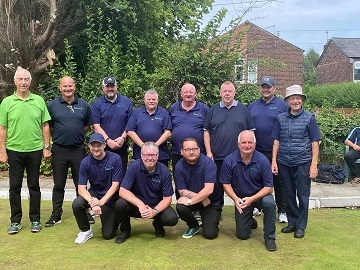 Played on greens in the Leyland Area on the 6th May and 1st July, this Tournament Sponsored by Dennis/Sisis once again proved to be a tremendous success. Our thanks go to the Officials of the Clubs who kindly offered their facilities free of charge. 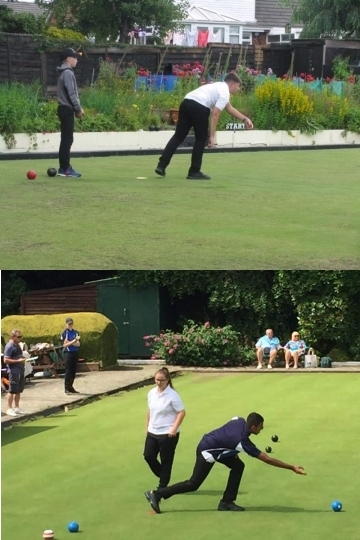 The greens used were Fox Lane Sports, Wymott Bowling Club, Eagle and Child, Farington Cons and Farington Sports and Social Club. Results overall - Youth League was won by Heavy Woollen, Juniors Div 1 Leeds, Juniors Div 2 Preston, Juniors Div 3 Furness A. 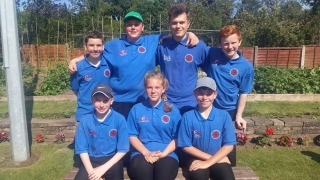 Merit Prizes - Youth 17-20 B Rice, Heavy Woollen - 39 players overall, 14-16 A Hayhurst, Preston - 61 players overall, 13 years and under J Preston, Furness - 50 players overall. Full results on results section on Website. This event will be played in the Stockport Area hosted by Cheshire Parks on September 8th 2019. This event will be played at Garswood Hall Nicol Road Ashton in Makerfield on the 9th August 2019. Entries at £5.00 to dkay on fedbowls@gmail.com or text to 07860358283 or Messenger. This event will be played at The Grange Bowling Club Warrington on 6th October 2019 . Competition is FULL. A reserve list is in operation. 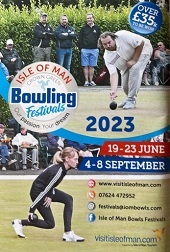 Entries at £10.00 to D Kay on fedbowls@gmail.com Text to 07860358283 or Messenger. 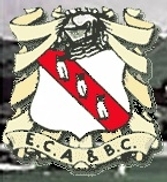 This annual event now in its fifteenth year was played on the 3rd August at Fox Lane. With some very competitive bowling all day the Federation just won the match by 4 points 239 to 235. Full results on results section. Our thanks to Fox Lane Sports for the use of their excellent facilities as usual. 2019 this event will be held at the Royle Bowling Club Castleton on the 19th July. I would be grateful if you would check your contact details and let me know if there are any changes. Once again any contributions to this site would be appreciated.